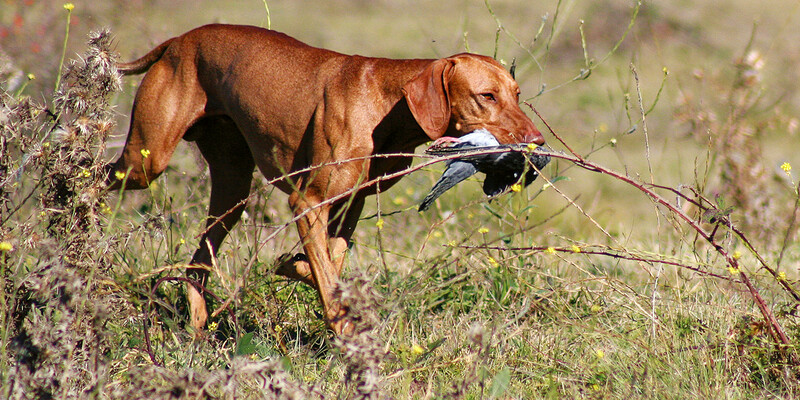 Have you thought about training your Vizsla for field or retrieving work? Field trials are competitions where dogs and handlers are tested for obedience and natural hunting ability under normal hunting conditions. 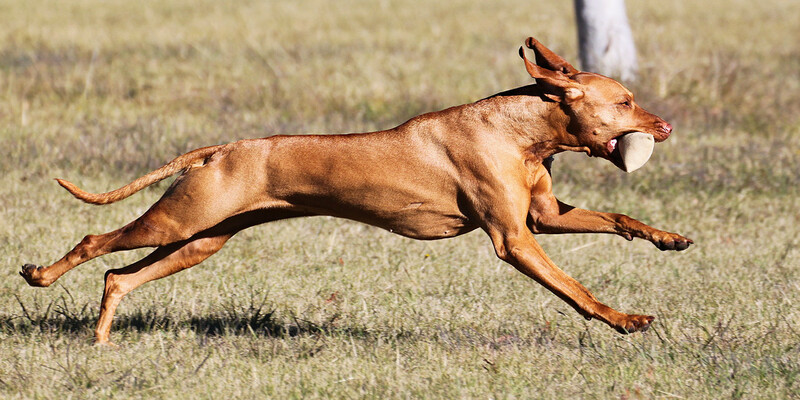 The purpose of a field trial is to test and evaluate a dog’s natural hunting ability in the field. Three forms of field trials are conducted in Australia and all are held under the rules and regulations of the ANKC (Australian National Kennel Council). Field trials are conducted at three different levels or standards: Novice Stake, Open or All-Age Stake, and Championship Stake. The type of work required at each level is identical although the standard required differs. Retrieving Ability Test (RATG) is a test of basic retrieving ability. Titles are awarded at two levels: Novice Retrieving Ability (NRA) and Open Retrieving Ability (ORA). Retrieving trials are competitions for gundogs and are held on properties set in areas that can imitate natural hunting situations. Items to be retrieved are cast from a mechanical thrower and the dog must be able to determine the depth of the fall of the item then be able to retrieve it and gently deliver it to the handler. There are five levels. If you are interested in any of these activities, please feel free to contact the Club or your state gundog club for more information.